Barbara Ivie Belew, age 75, of Lawrenceburg, TN passed away Monday, February 04, 2019 at Keestone Senior Community in Lawrenceburg, TN. 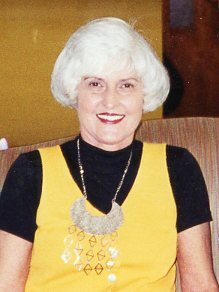 She was a native of Lawrence County, TN, retired beautician, and a member of First Baptist Church of Lawrenceburg. She was preceded in death by her parents, Louis Evit and Geraldine Hood Ivie. Arrangements are being handled by Neal Funeral Home, 231 N. Military Avenue, Lawrenceburg, Tennessee. The family will receive friends from 12:00 PM to 2:00 PM Wednesday, February 06, 2019 at Neal Funeral Home. Funeral services will be conducted at Neal Funeral Home at 2:00 PM Wednesday, February 06, 2019, with Chad Moore officiating. Interment will follow at Lawrence County Memorial Gardens in Lawrenceburg, TN.